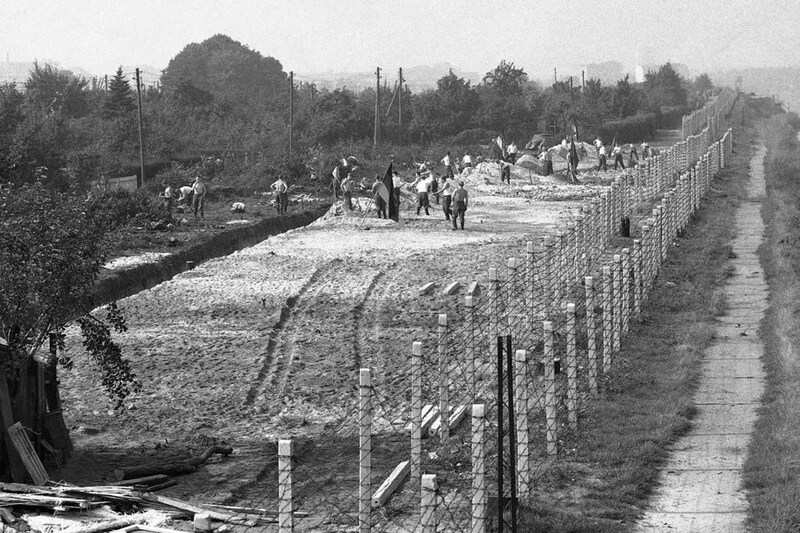 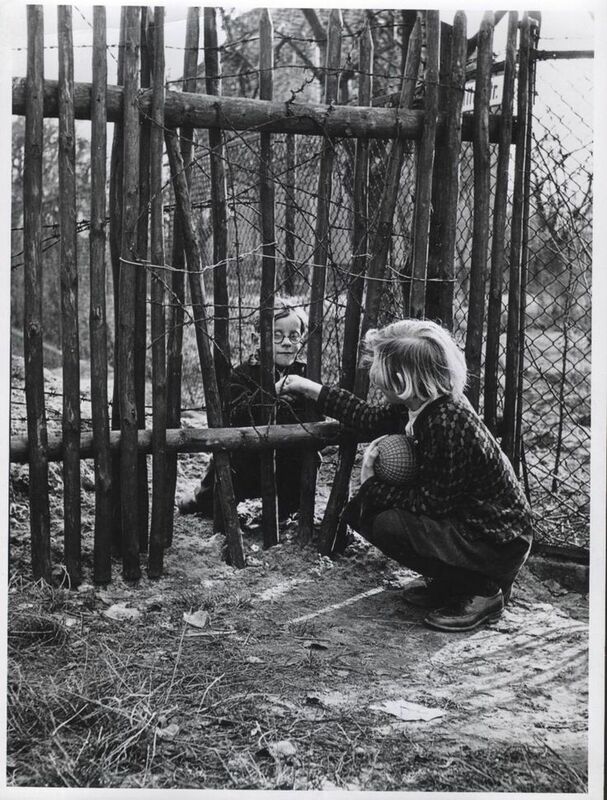 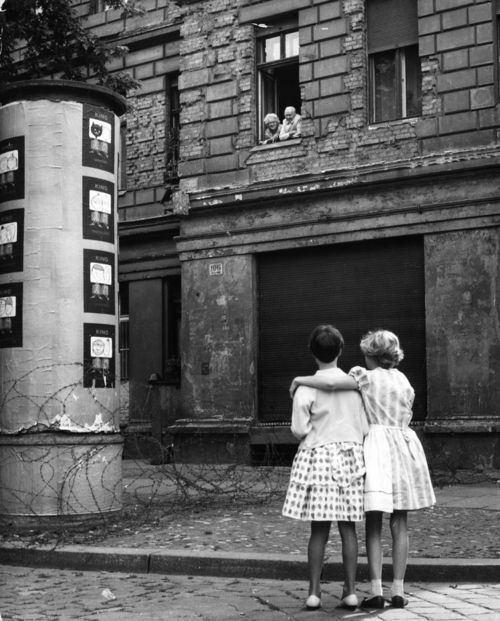 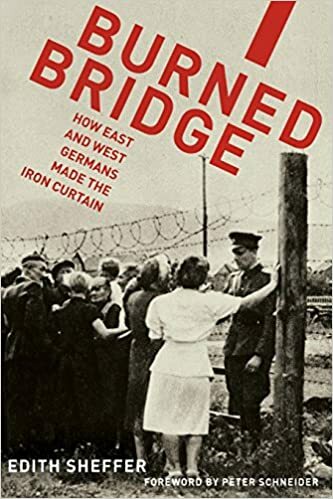 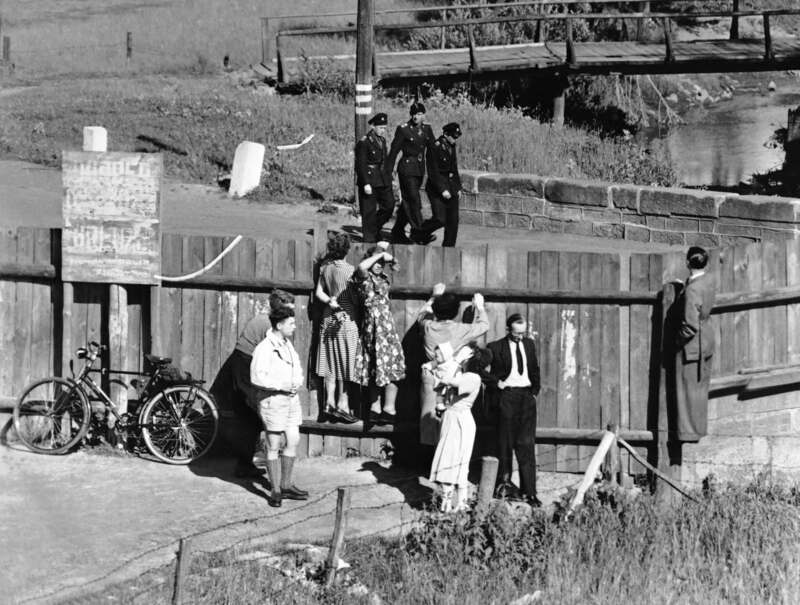 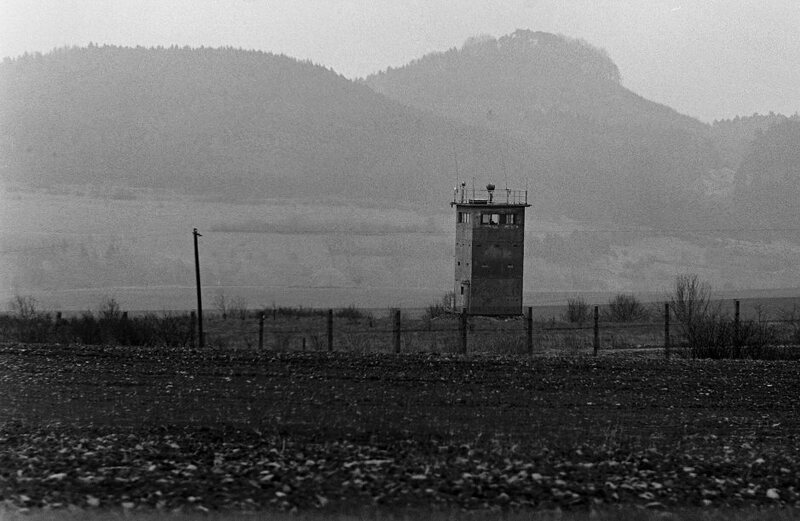 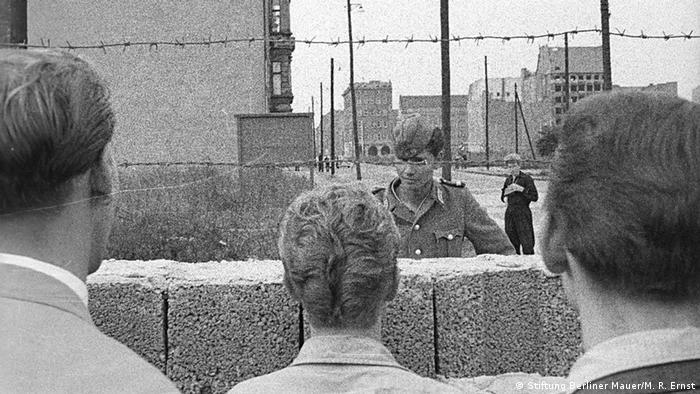 West Germans look over the fence between West and East Germany, near Vacha on Jan. 2, 1958, at three members of the East German Communist People's Police. 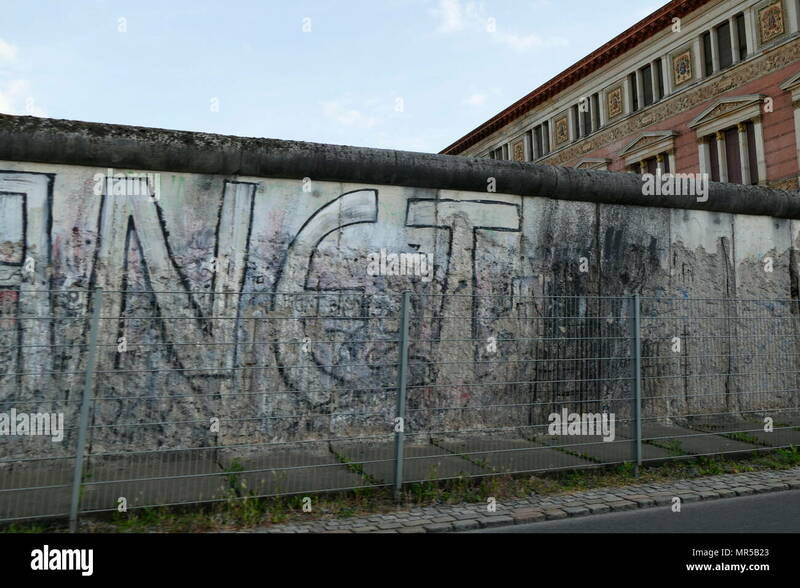 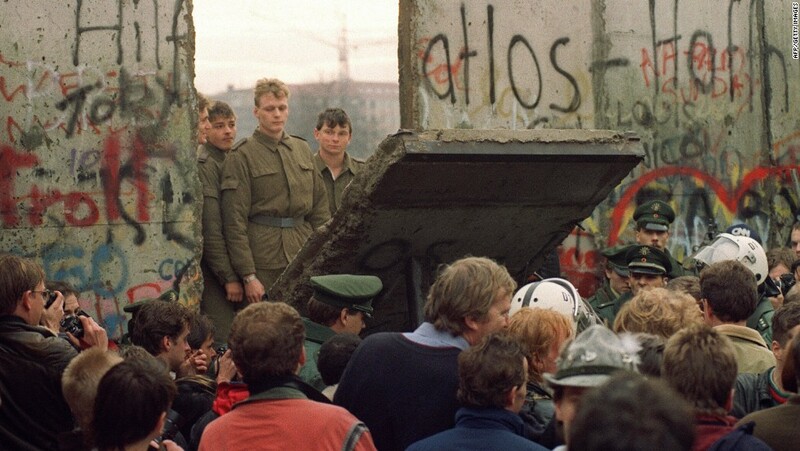 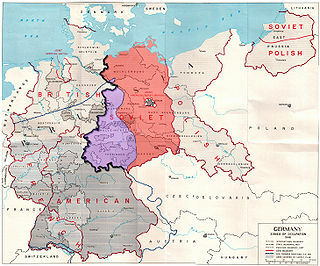 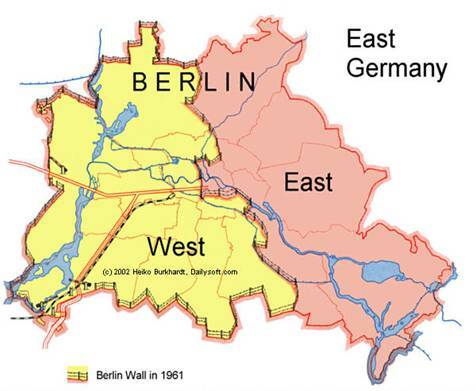 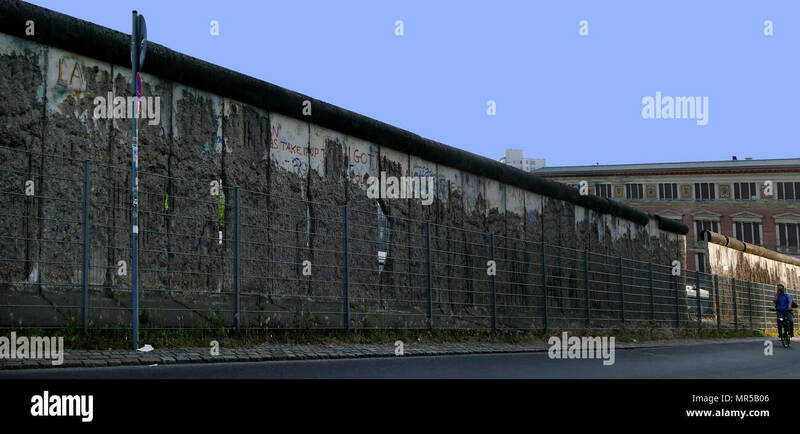 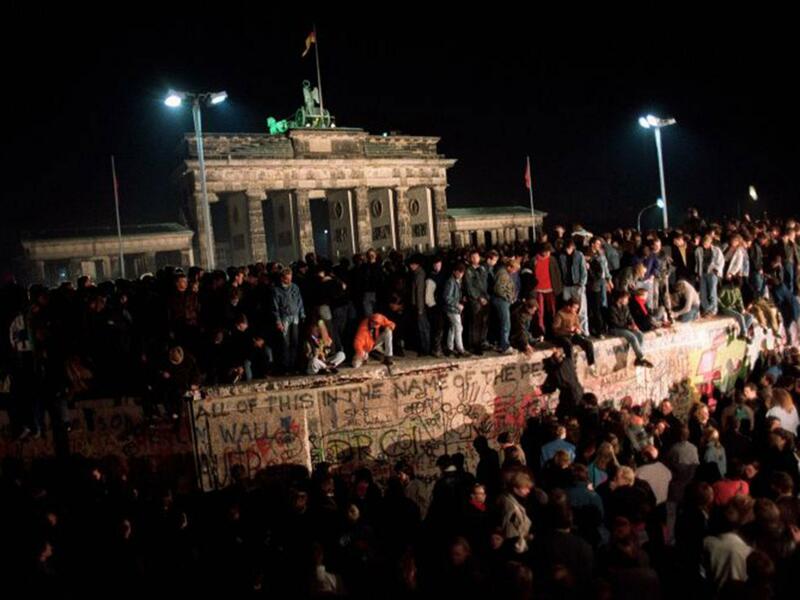 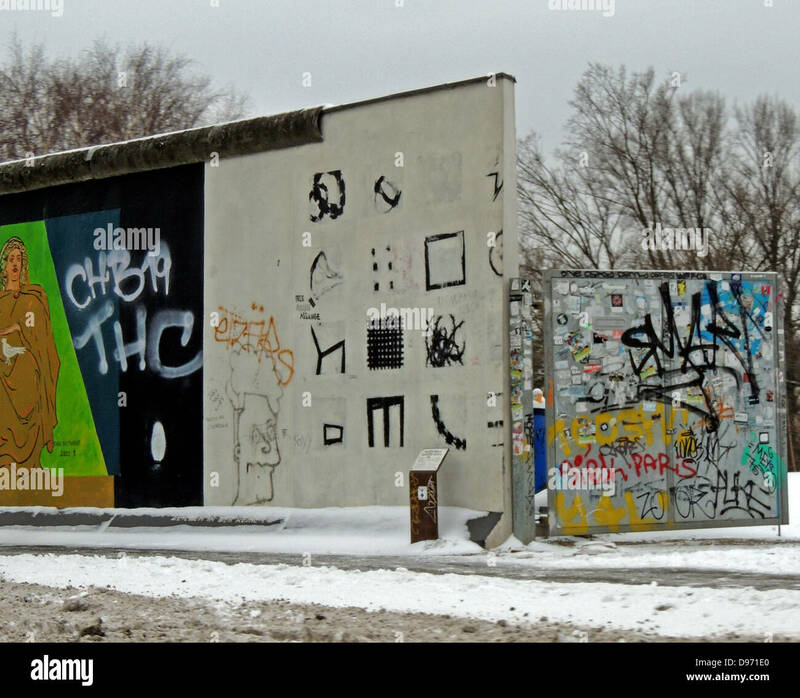 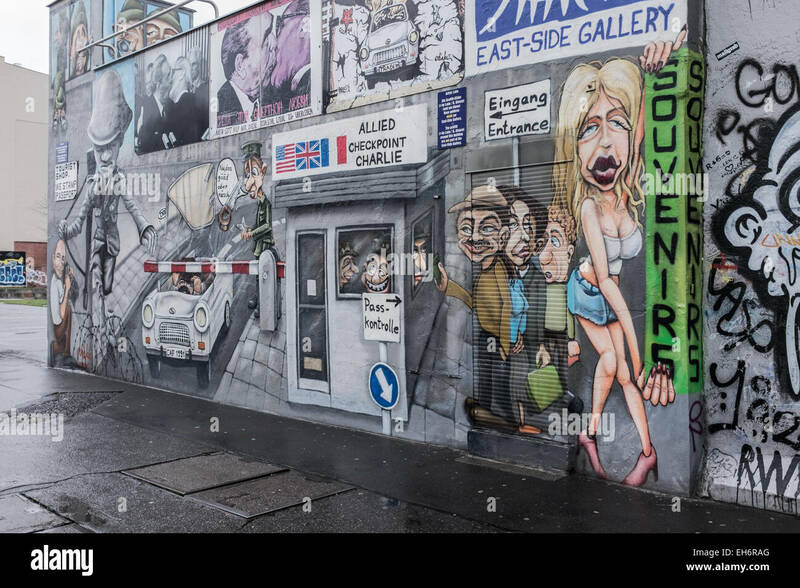 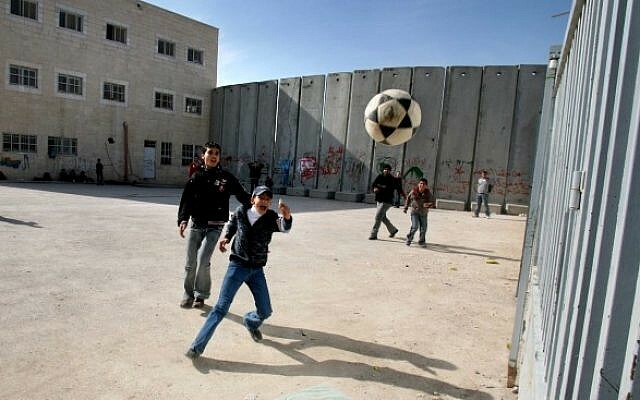 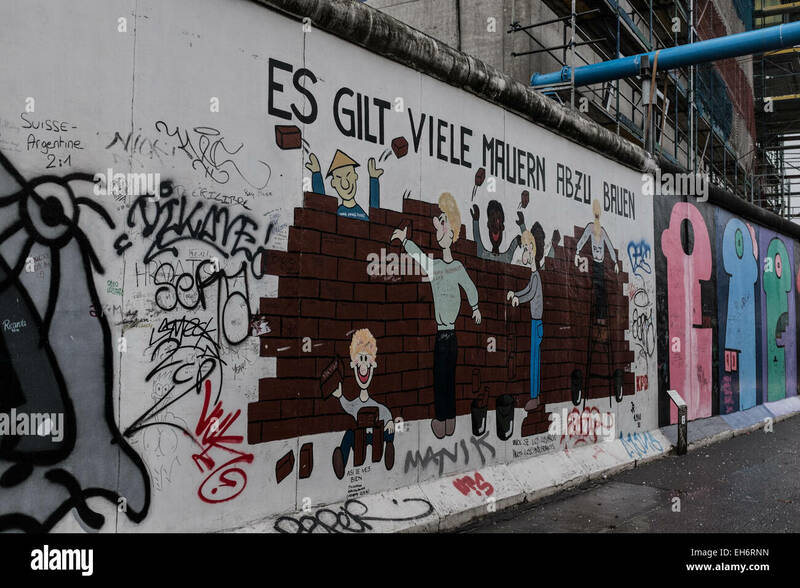 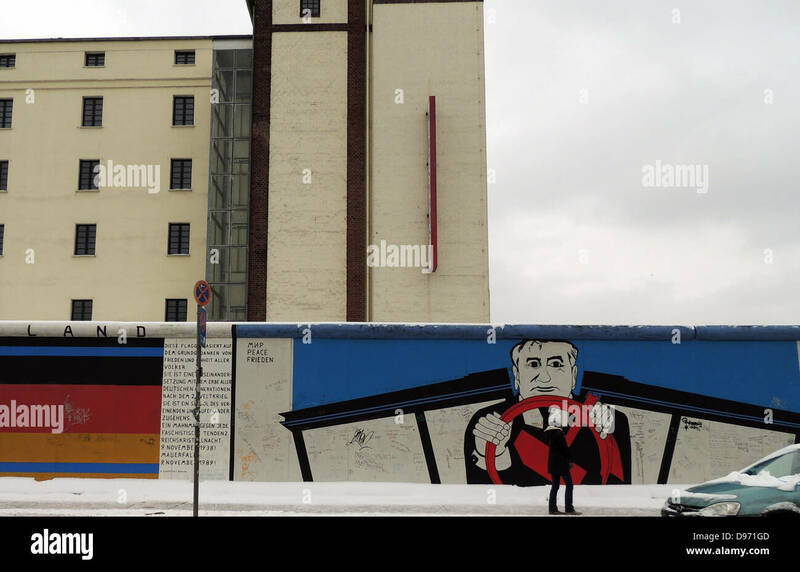 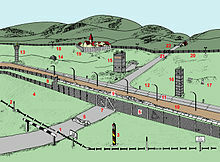 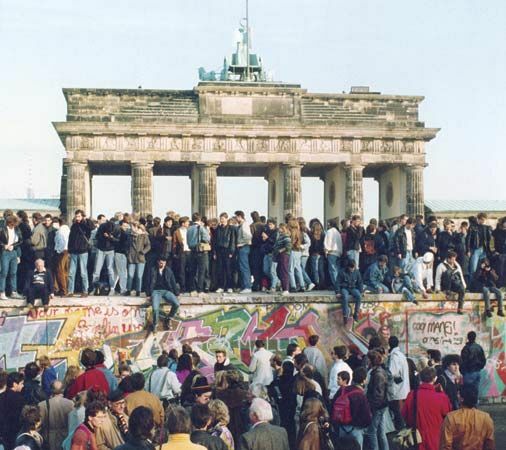 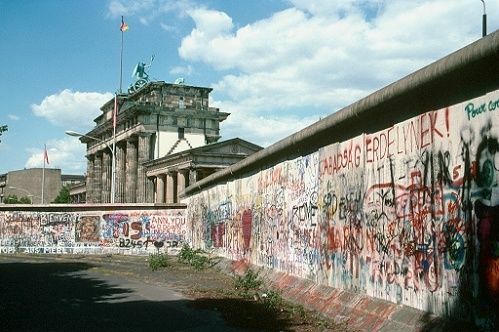 The Berlin Wall 1961-1989. 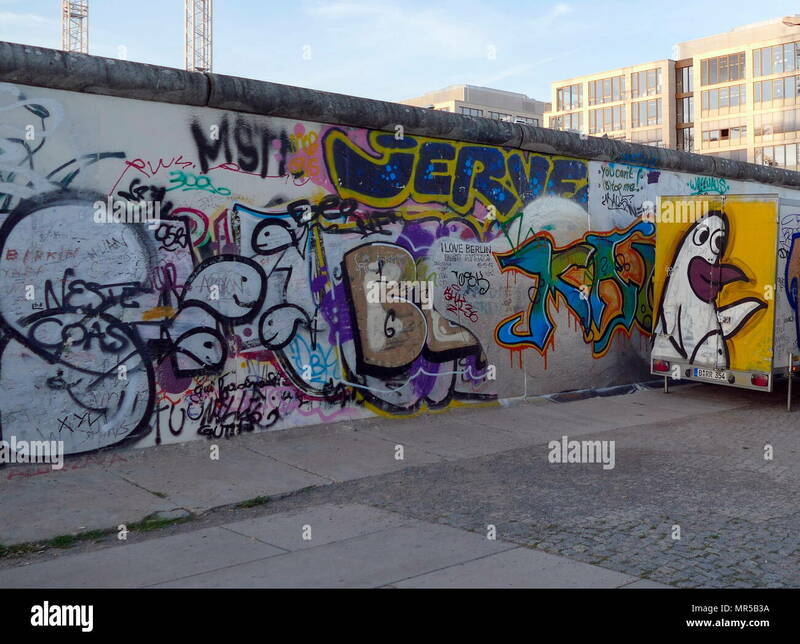 Graffiti on the remaining section of the Wall. 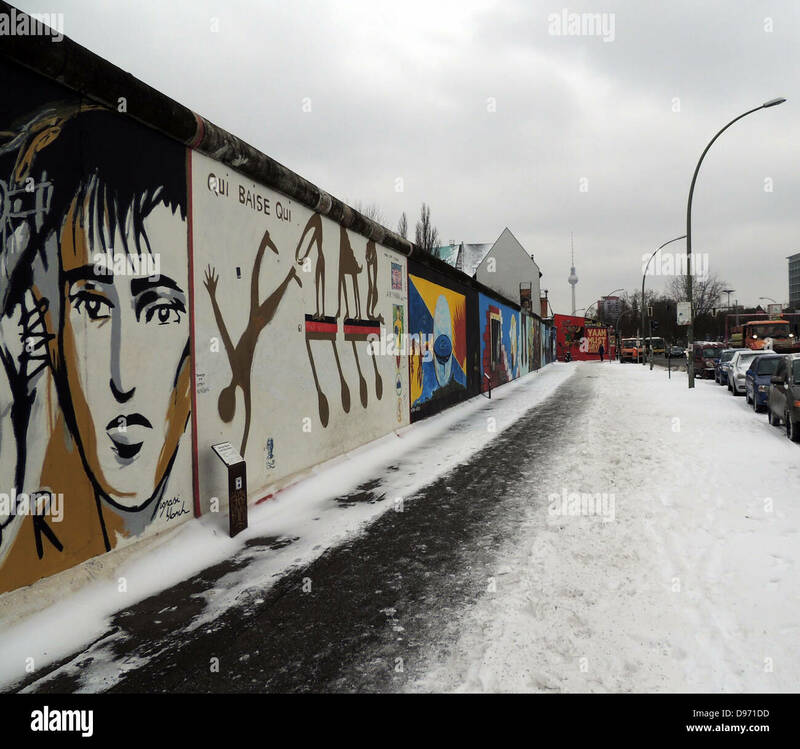 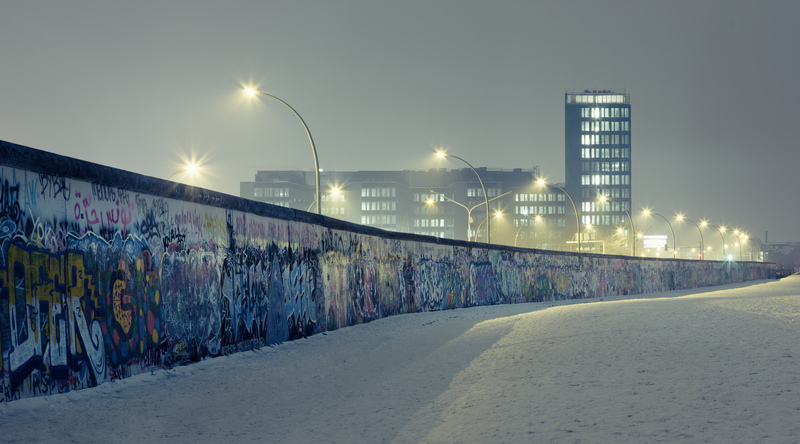 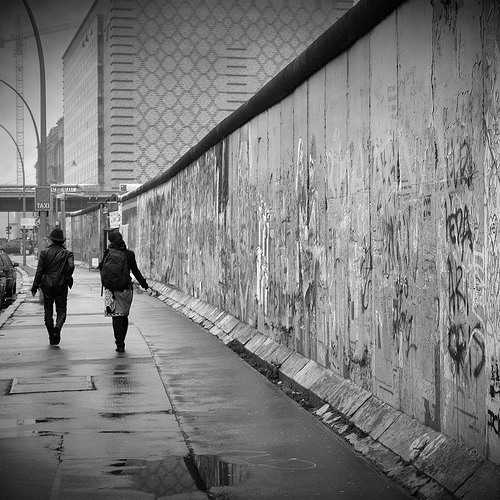 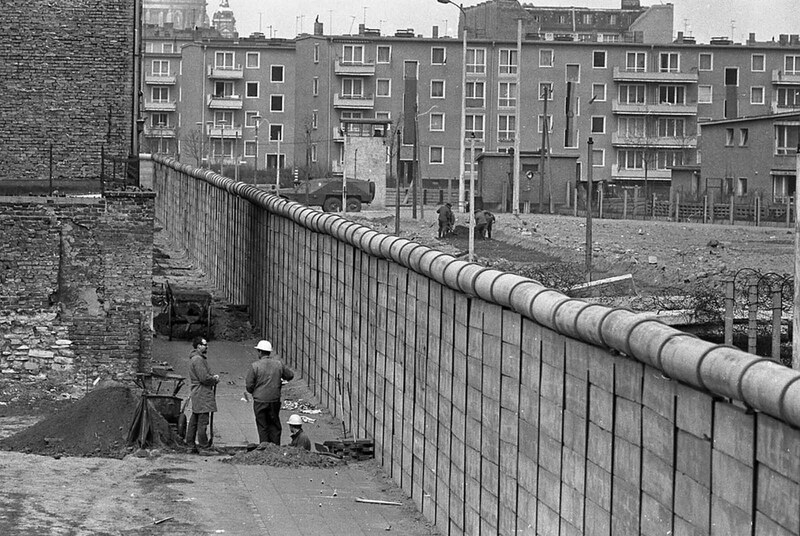 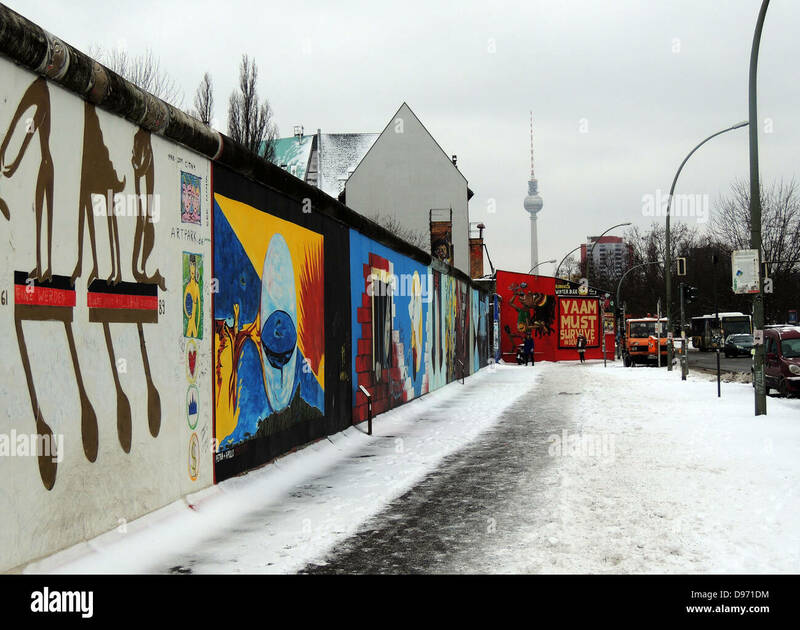 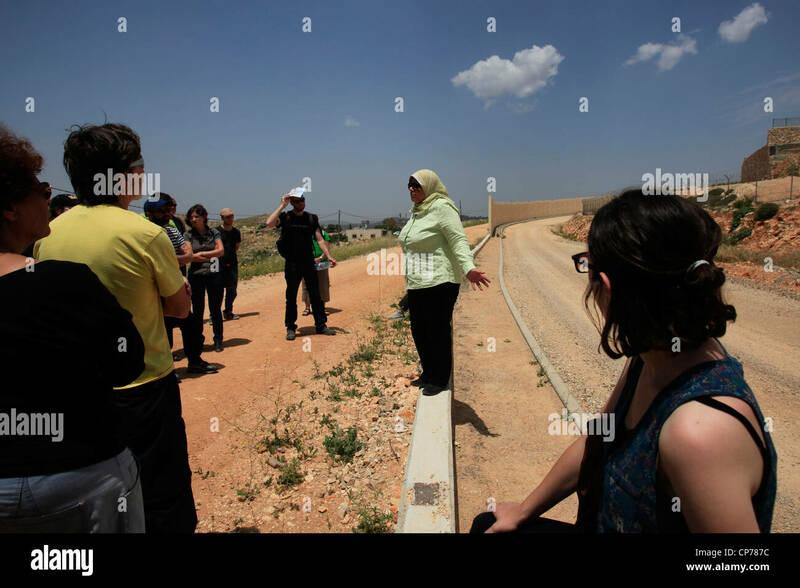 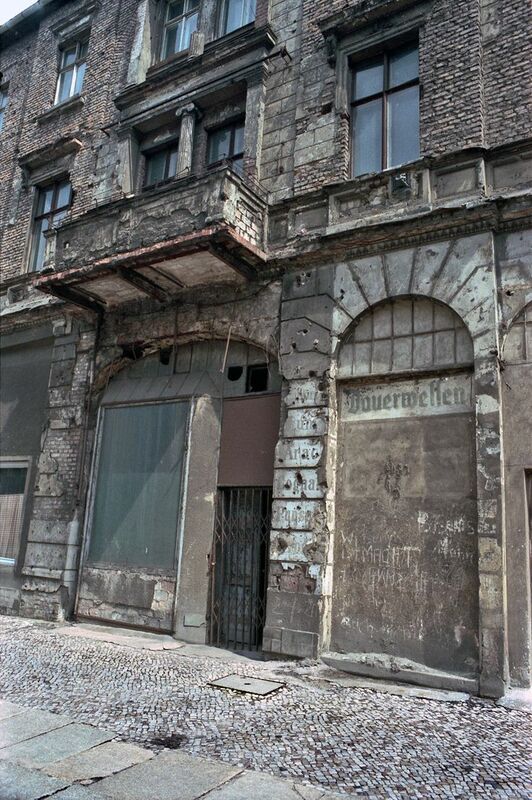 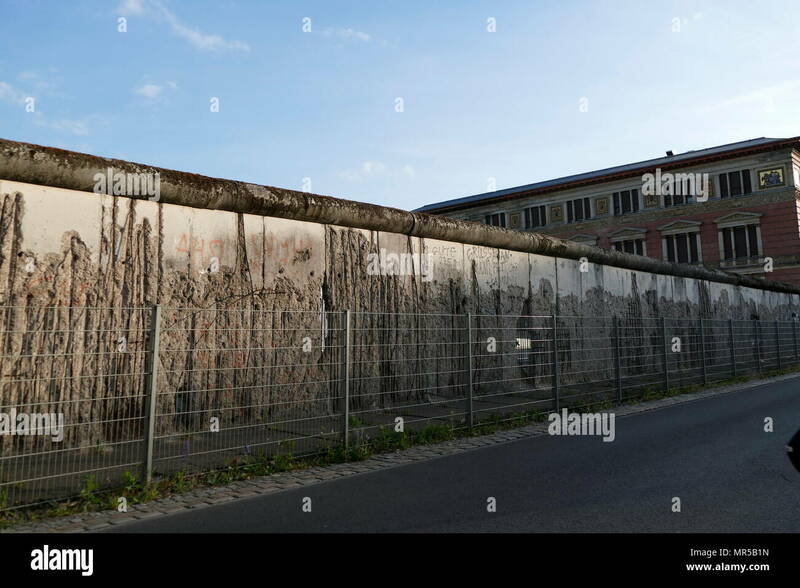 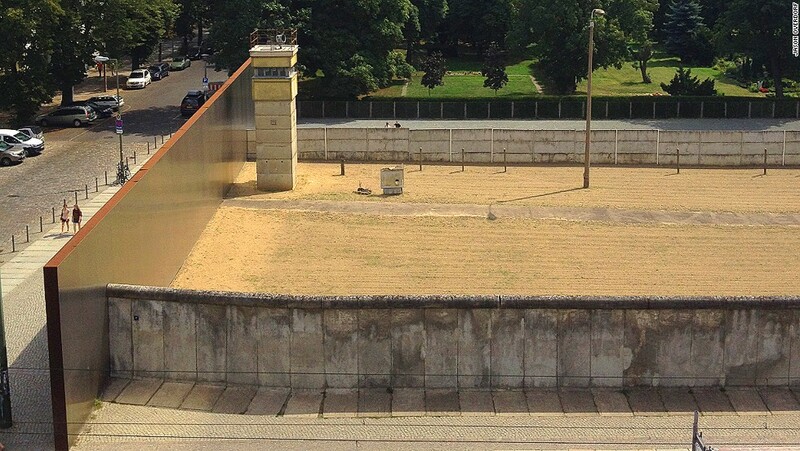 the Berlin Wall, frontier, war, separated, street, tourist, street, wall, Protection Rampart, barrier, divided. 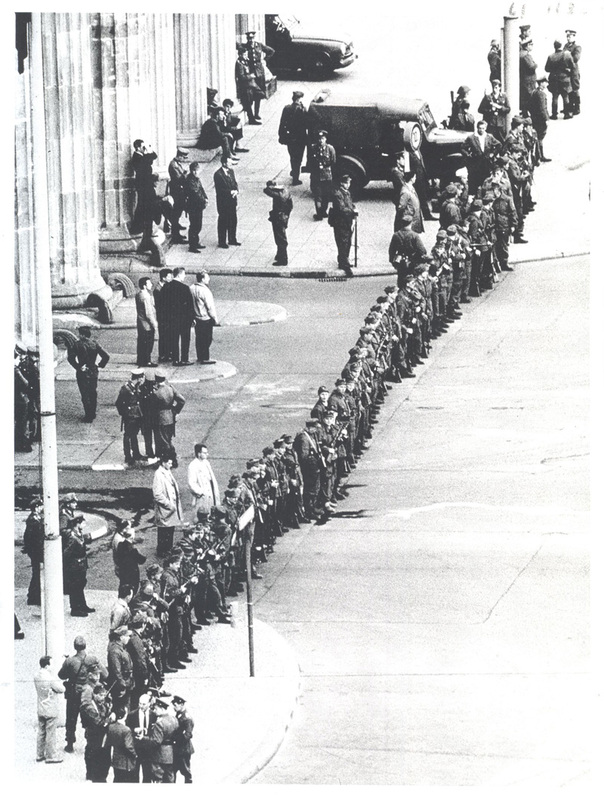 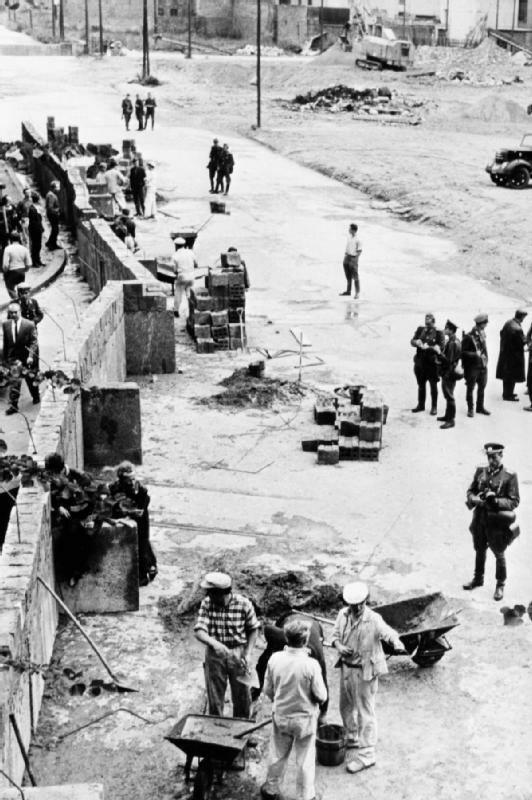 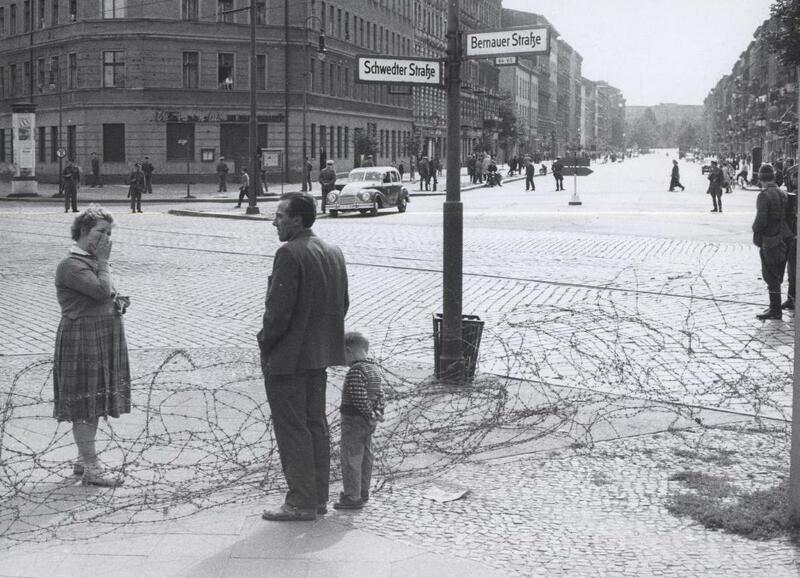 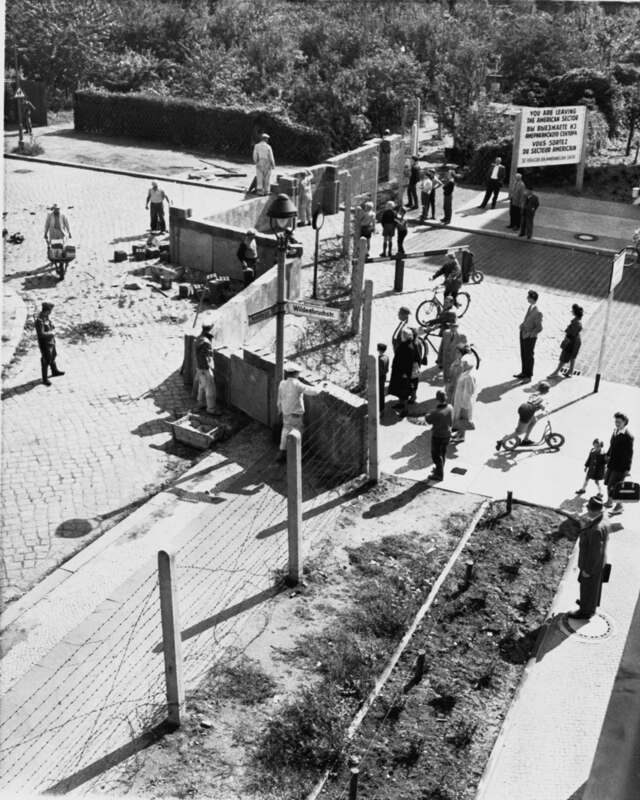 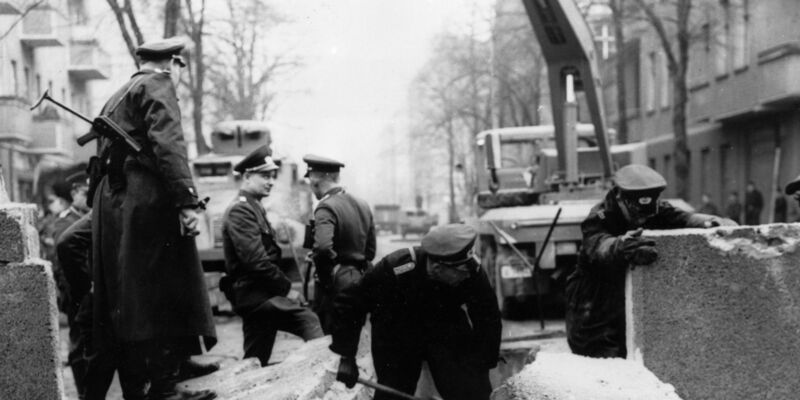 West Berliners at right watch East German construction workers erect a wall across Wildenbruchstrasse and Heidelbergerstrasse in West Berlin in August 1961. 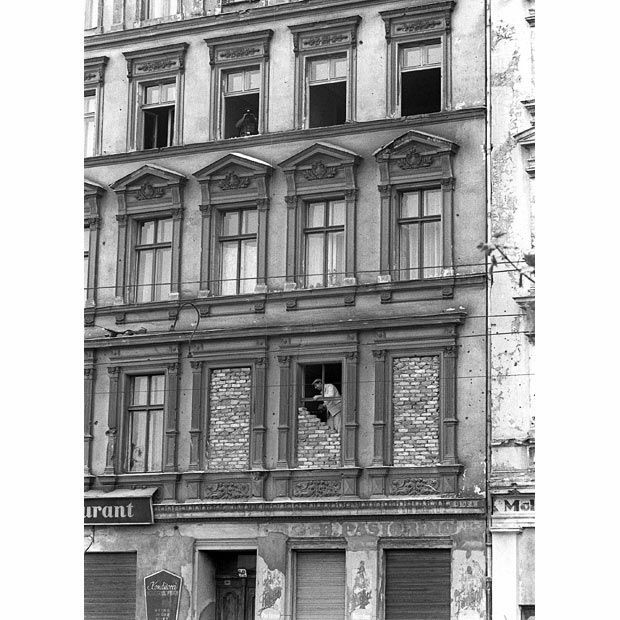 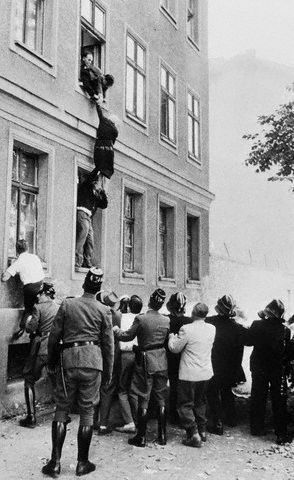 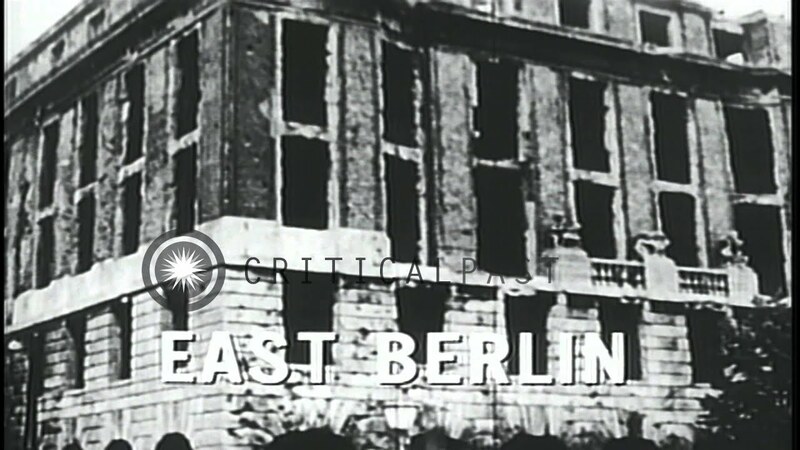 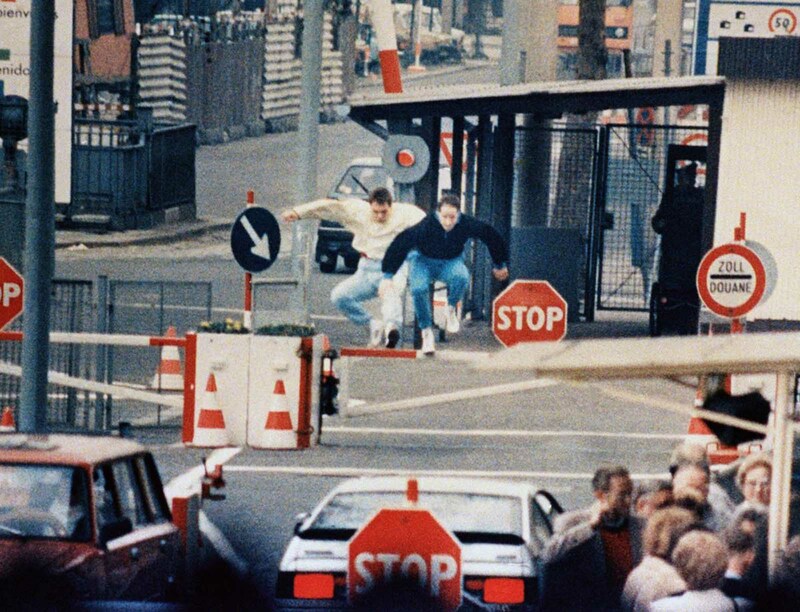 People escape through building windows to West Germany as the Berlin Wall is being built. 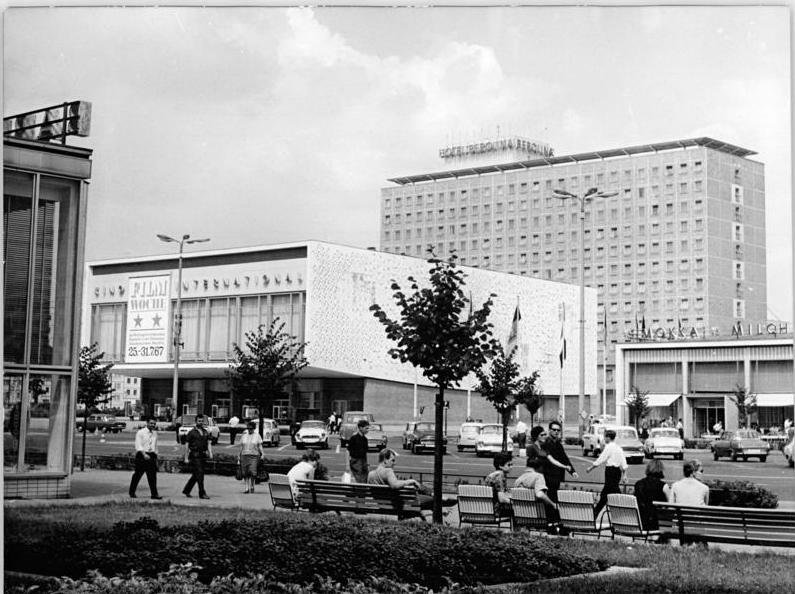 August 1961. 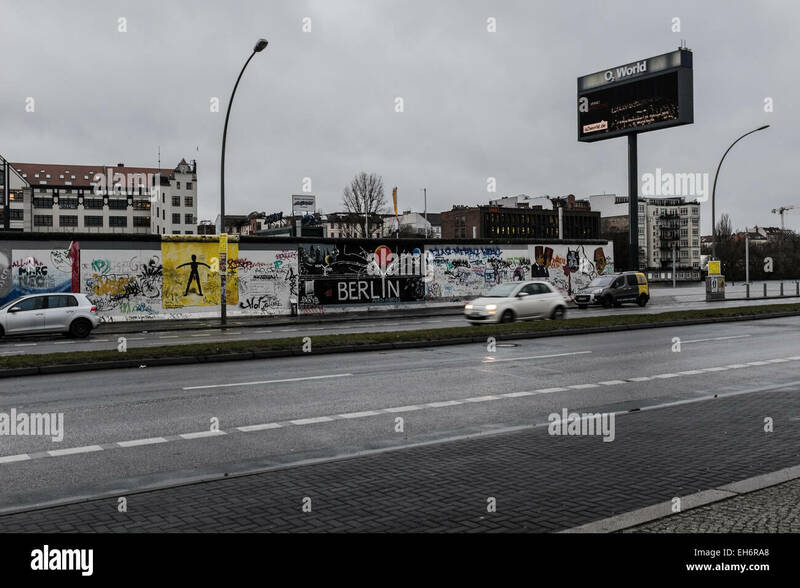 High-rise apartment blocks and graffiti in Lenin Allee in the former East Berlin. 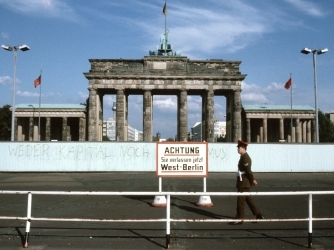 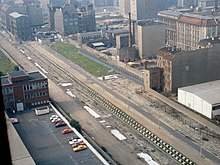 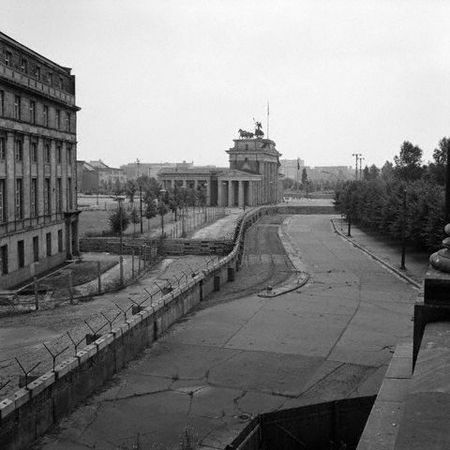 East Berlin "death strip" of the Berlin Wall, as seen from the Axel Springer AG Building, 1984. 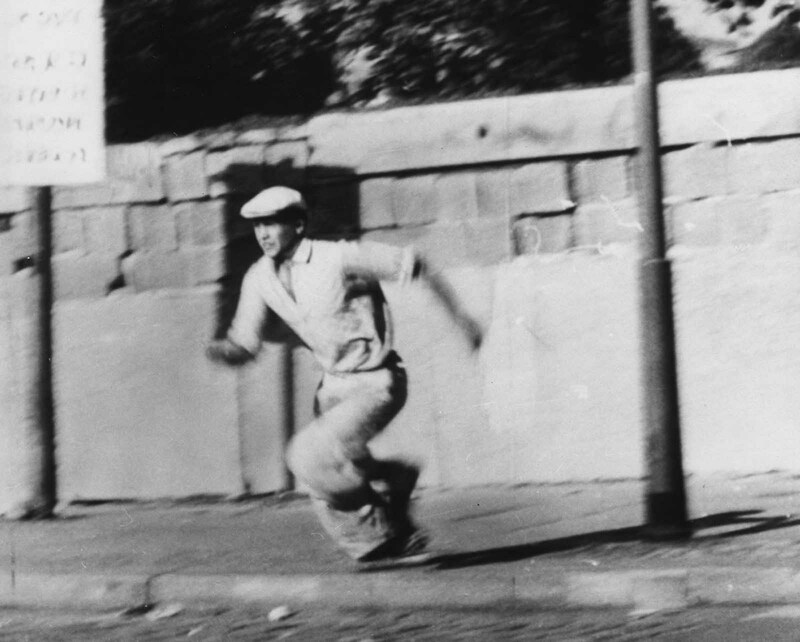 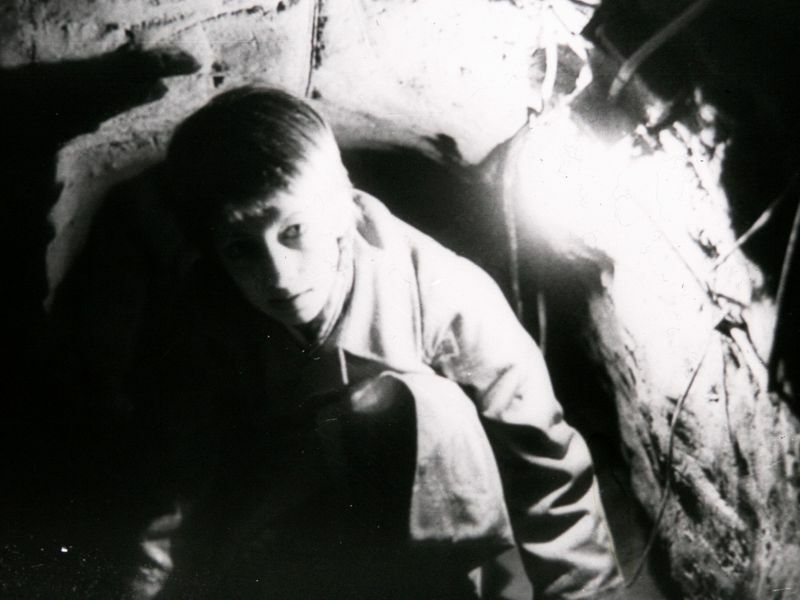 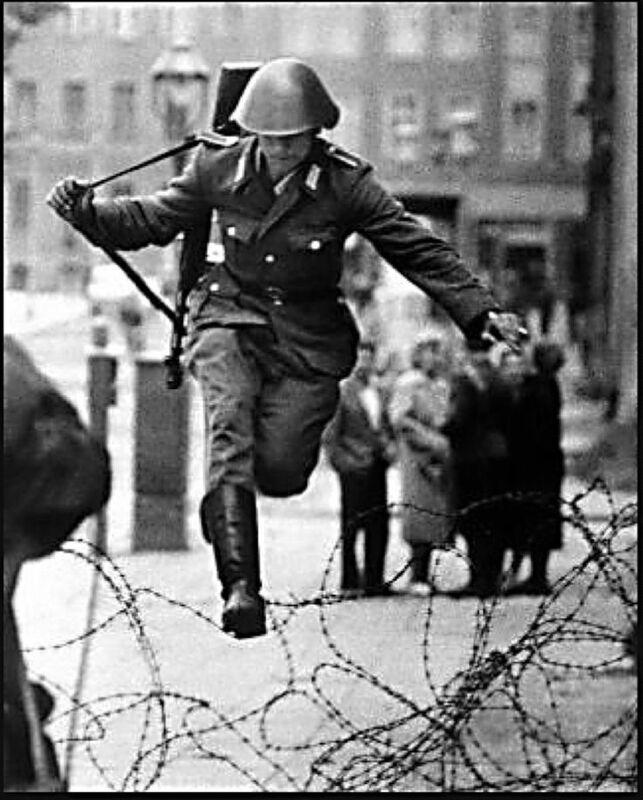 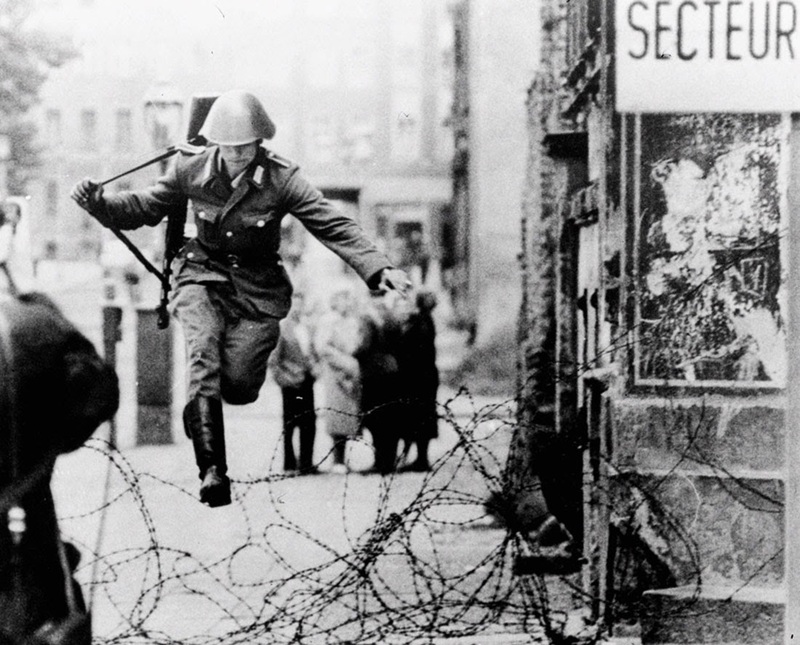 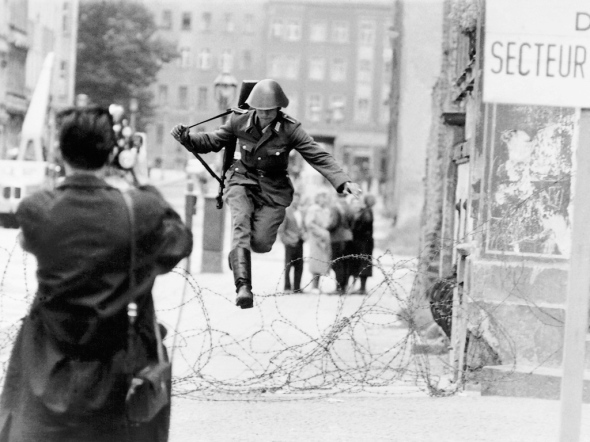 A refugee runs during an attempt to escape from the East German part of Berlin to West Berlin by climbing over the Berlin Wall on October 16, 1961. 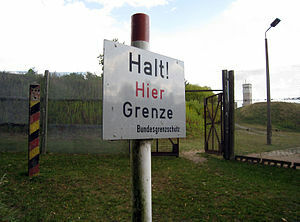 A white sign on a post with the German inscription "Halt! 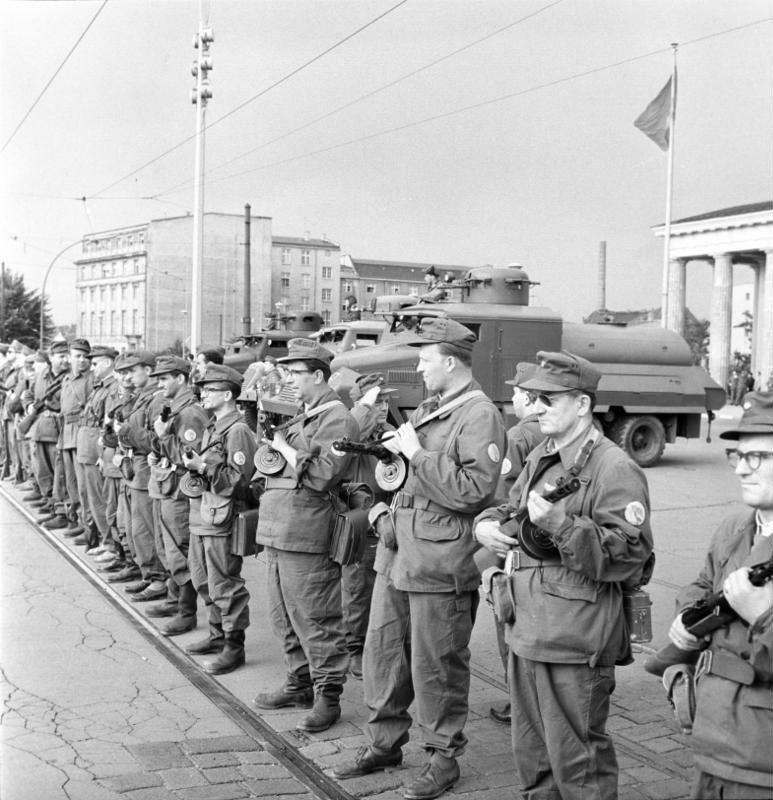 Hier Grenze"
Soviet T-55 tanks at Checkpoint Charlie, October 27, 1961. 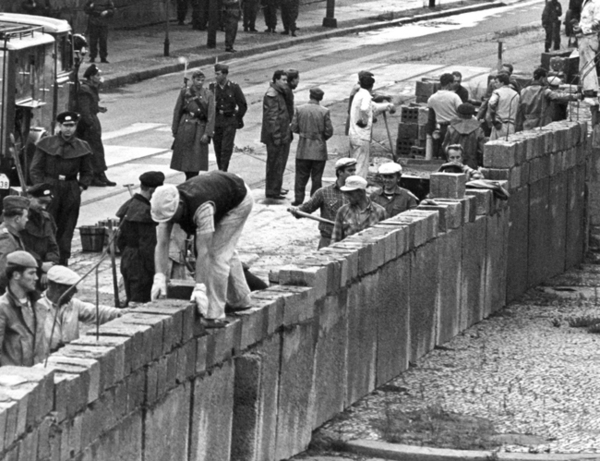 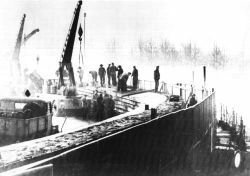 East German construction workers building the Berlin Wall, 20 November 1961. 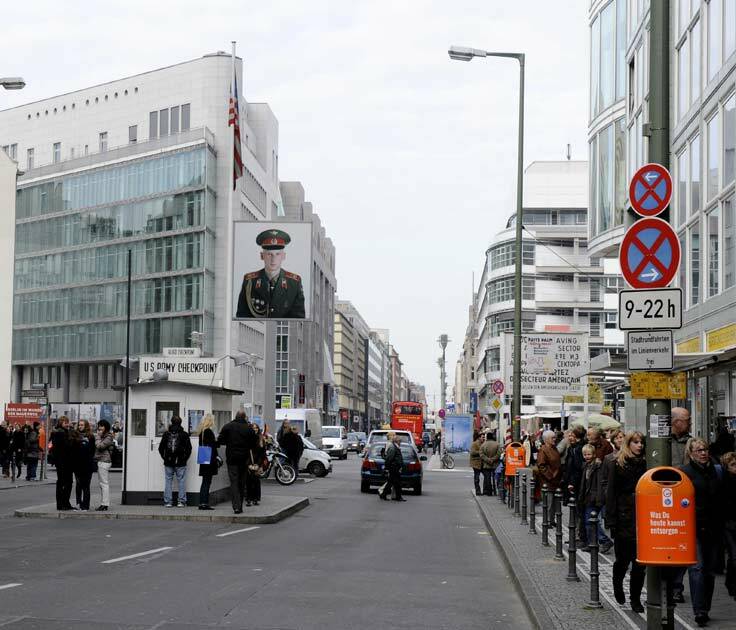 The border is marked on the western side by signposts saying "HALT HIER GRENZE"
Checkpoint Charlie, Friedrichstraße, Berlin: Replica of the old western border post. 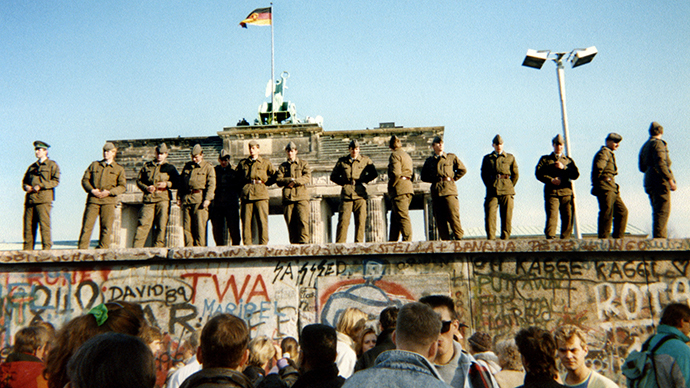 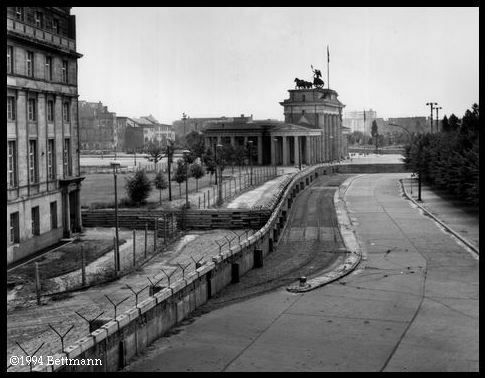 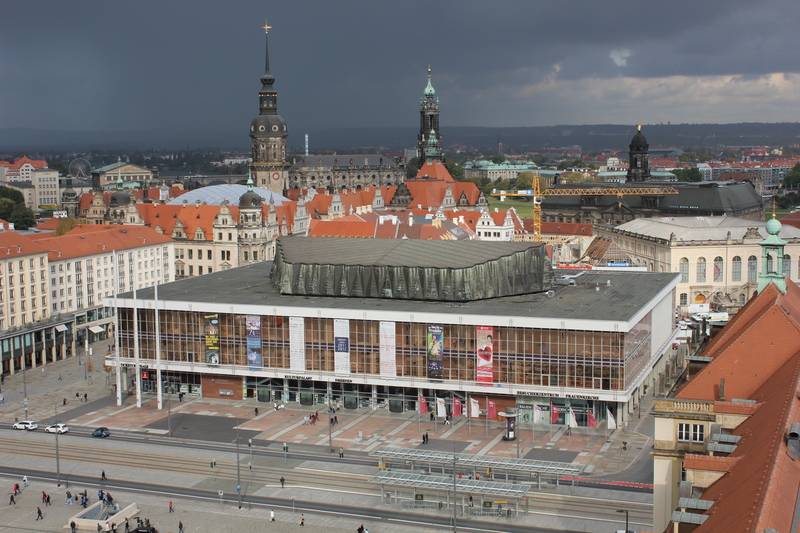 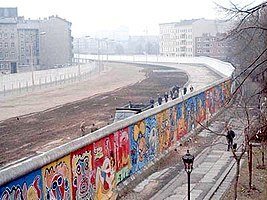 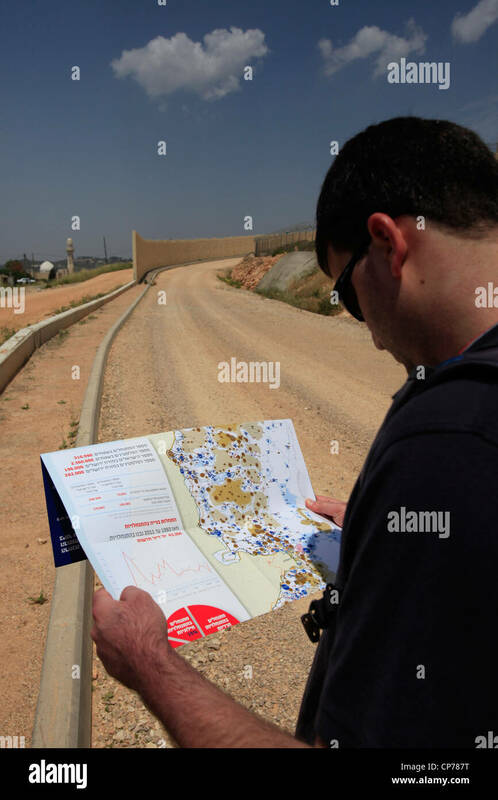 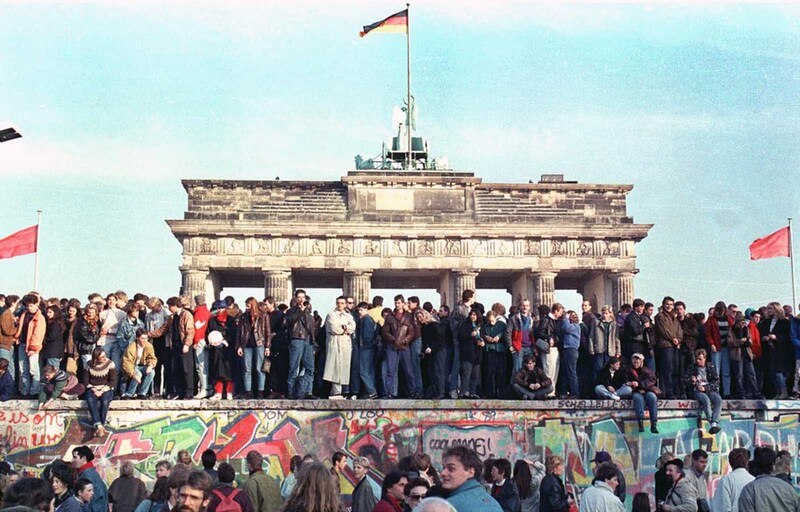 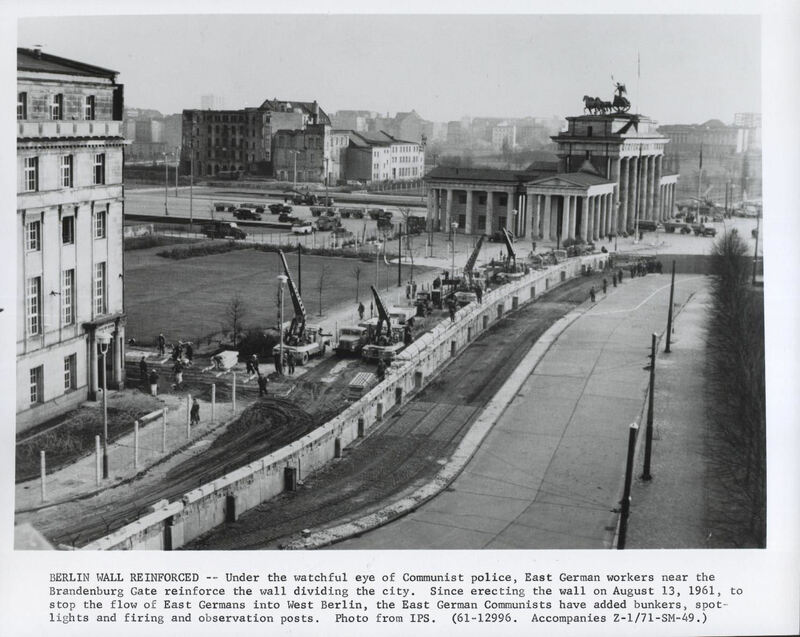 The bike tour of the Berlin Wall takes in several visible stretches of the original "